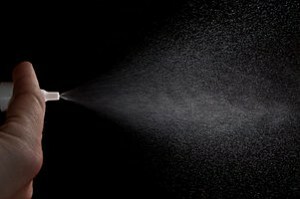 HomeNasal CongestionWhat are the Different Types of Nasal Spray? Do all those nasal spray medicines really work? Well, that depends on the type you use and what you need them to do. There are several different types of nasal medications administered through a mister. Which one you use will depend on your symptoms and their side effects. In this article we will try to look at the most commonly used products. What is it you hope to fix with a Nasal Spray? Nasal congestion is a fairly common problem. Most people have had sinus problems at one time or another in their life. The symptoms that often accompany that congestion can be uncomfortable at times. 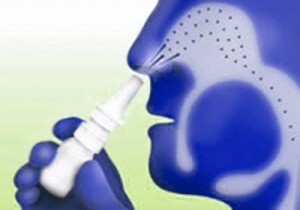 In using a nasal spray you are not likely trying to eliminate or treat a cause, but more likely controlling symptoms. Some of the sprays we will discuss are prescribed by doctors, some are not. Check with your local pharmacist to find out which ones. What Else Can You Use in Conjunction with Nasal Spray? *Be sure to turn off the heating device before beginning the aforementioned activity. Sinus Washes deserve a paragraph of their own. 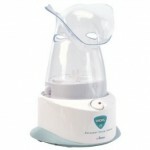 Many of these devices work well with nasal spray if used correctly. Some sprays will require time to work, so be sure to check with the doctor before beginning. There are many varieties of nasal sprays. Do your homework and consult with your doctor to find out which one you need to use. Also check to see if you can use any other treatment options in tandem with you choice. Then all that’s left, is to use your nasal spray as directed, and breathe easy. Which has only 2 brands legally sold in the US? Which helps moisten the air you breathe? What do you put into Neti Pot water? That would be a coveted product indeed. Well, with the SinuPulse Elite Advanced Nasal Sinus Irrigation System you have just such a product. With either a Gentle Mist or a Pulsing Spray you can relieve the many symptoms that cause you unease and discomfort. With the patented IntelliPulse and IntelliMist Technology, this affordable and affective device is a necessity for anyone who suffers from chronic Nasal Congestion. Used daily it can help maintain healthy Sinuses, which increases the quality of life dramatically. 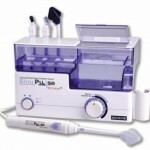 So if you need Nasal or Sinus relief, check out the SinuPulse Elite Advanced Nasal Sinus Irrigation System. What are the Types of Sinus Surgery? What is a Neti Pot and Why do You Need One? What Can You Do About Sinus Pressure? What can I do About this Runny Nose? I develop a dependency on phenylephrine HCI every year then get terrible rebound congestion. Still, it’s the only OTC nasal spray that works for me. Is your yearly nasal spray dependency a preventative or curative thing Stephanie? Are you treating a condition you have, or one you might get? I never knew there were so many different types of nasal sprays. I have bad allergies, but never tried one before. The idea of spritzing something up my nose doesn’t really appeal to me, but perhaps I should try it if it works so well. Yeah, Cmarten, things going up our nose is not a natural instinct, but once I tried it, it got easier and I did get some positive results. Thanks for sharing. I always have a runny nose, bu didn’t realise there was so many types of nasal spray available. Would I be better using an Antihistamine or a Topical Decongestant spray. Or is it a case of trying each one and seeing which one works best for me. A runny nose is usually a sign of inflammation of the sinuses, and to dry it up you would usually use an Antihistamine. You can try both of the over the counter medications, but make sure of your medical allergies before using any of them. I believe that there has recently been a breakthrough that will increase the effectiveness for sinus sprays. Bacillus licheniformis often found in seaweed breaks down the slimy shield that protects nasal bugs from sprays. Good call Paul, research is still being conducted on B. licheniformis, but the results from the testing being done at Newcastle University has been conducted.